ISLAMABAD: In an unprecedented move, the Supreme Judicial Council (SJC) has decided to try a high court judge in an open court on corruption charges after the latter insisted for a public trial. 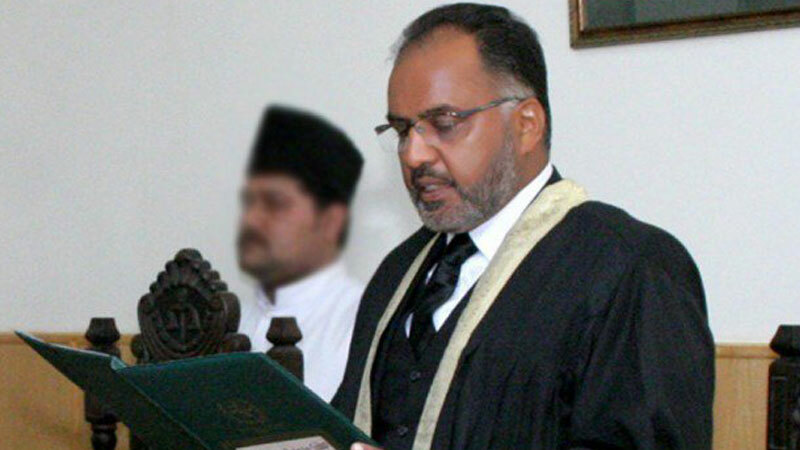 The decision comes after Islamabad High Court (IHC) Justice Shaukat Aziz Siddiqui moved the Supreme Court against the SJC for not allowing him an open trial. The top court subsequently ruled that the SJC can hear a case against a judge in an open court, only if the judge on trial waives his/her right for in-camera proceedings, and asked the SJC to review to its earlier decision. The SJC had rejected Siddiqui’s earlier request for an open trial in May 2017. According to reports, the formal proceedings against the IHC judge will start from July 30 in the corruption reference that pertained to Justice Siddiqui’s alleged refurbishment of official residence beyond entitlement. The proceedings against Justice Siddiqui were suspended after he moved the top court for an open trial. The top court’s larger bench, headed by Justice Sheikh Azmat Saeed, had already remanded the matter of holding in-camera trials for judges to the SJC for reconsideration. However, the issues remained in doldrums as no meeting was held in the specified period. On February 21, Chief Justice Mian Saqib Nisar announced that all complaints against superior courts judges in the SJC will be decided by June. However, the issue remained unresolved hitherto. Justice Siddiqui has been in the headlines for several reasons: questioning the role of Inter-Services Intelligence (ISI) in Faizabad sit-in, criticising Chief Justice Nisar for ‘humiliating’ a sessions judge in Larkana, among others. The show-cause on comments about the ISI pertained to “making unnecessary and unwarranted comments about some important constitutional institution saying such comments prima facie had the tendency of undermining the respect otherwise such constitutional institution enjoys”. He submitted a reply, which was rejected by the SJC.